Whether you're fired for cause, or made redundant as part of a mass layoff, losing your job never feels good. Even if you were less than enamored of your former gig, chances are you need the money – and don't need the stress of navigating the job hunt. Alas, into most lives, a few pink slips must fall. 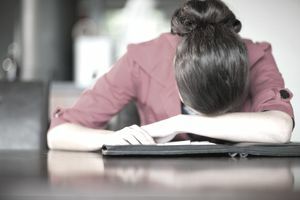 If you're going to lose your job, the best-case scenario is to figure it out long before you walk into a conference room only to be greeted by a somber HR rep – that way, you can get started on your job search while you're still employed. Depending on your role at the organization, you might have direct insight into the company's fortunes. If your employer is hemorrhaging clients or cash, getting a drubbing in the press, or suffering other reputation reversals in the industry, your job – and those of your colleagues – might not be long for this world. For this reason, it also pays to keep on top of your employer's profile by following them on social media, setting up Google Alerts with the company name, and so on. Not every bad mention in the press equals impending doom, but you're better off knowing which way the wind is blowing ... even if it's about to change. Note that your company doesn't need to be doing badly for big changes to impact your career. An acquisition or other structural change could affect you just as much as a business failure. Your biggest project now belongs to someone else, while your lesser responsibilities have landed on an intern's plate. Your reports are reassigned to another manager, and your clients are gradually making their way to someone else's list. Maybe, however, it's not so much that you don't have anything to do, but that your boss seems to be in a much bigger hurry than usual to get your projects wrapped up. This doesn't necessarily point to imminent dismissal, but if a lot of your deadlines move up all at once, and to the same general time frame, you could be looking at your own deadline for termination. As mean as it sounds to make someone clear their to-do list before letting them know their services are no longer required, it happens. Keep an eye out, so you can see it coming if it's about to happen to you. Maybe you used to get along with your boss, but now you can't seem to communicate about even the most basic issues. Or maybe your workday has turned into a blame game, and you're always "It." Perhaps there was even an inciting incident, such a genuine mistake on your part that no amount of effort or responsibility-taking seems to erase. Whatever the reason, if the boss doesn't seem to be on your side, or if you've received a warning about your performance, it might be time to start polishing your resume. This indicator is a little harder to pin down than some of the others, but it's still worth paying attention to. If you feel like an alien life-form at work, with totally different priorities, interests, and perspectives than everyone you're working with, it might be time to move on. Even if you're not about to be given a cardboard box and told to relocate your things to your home office, you deserve more out of your employment experience. Start thinking about making a jump to a more congenial corporate culture, before you're pushed out. *Note: Not all employees who lose their jobs qualify for unemployment. Learn more about who is eligible for benefits, and check with your state unemployment office for specific information. What Else You Should Know: Should You Quit Before You Get Fired?